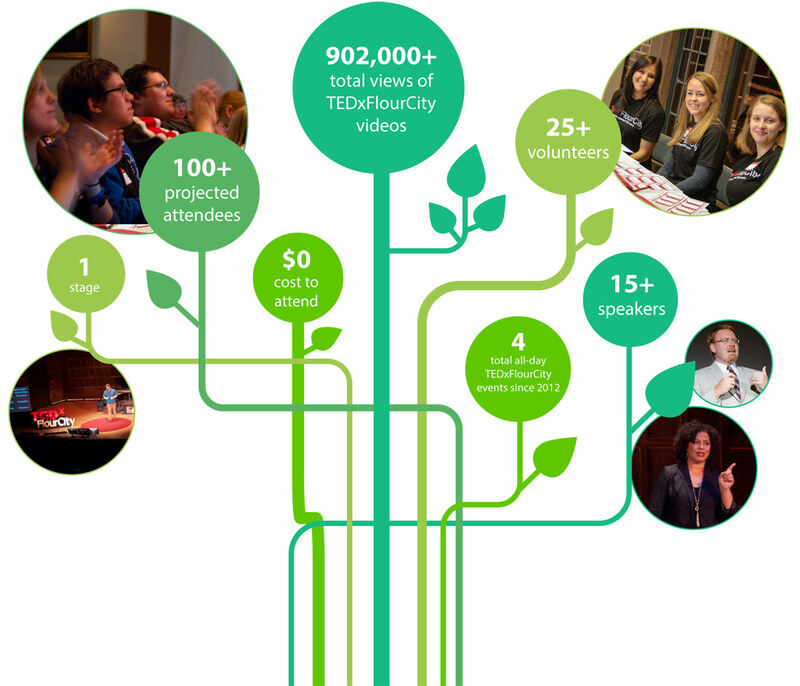 TEDxFlourCity relies on the benevolent support of its partners in order to deliver events of the highest quality. It strives to establish long-term, mutually-beneficial relationships with its partners who provide monetary sponsorship and in-kind support. 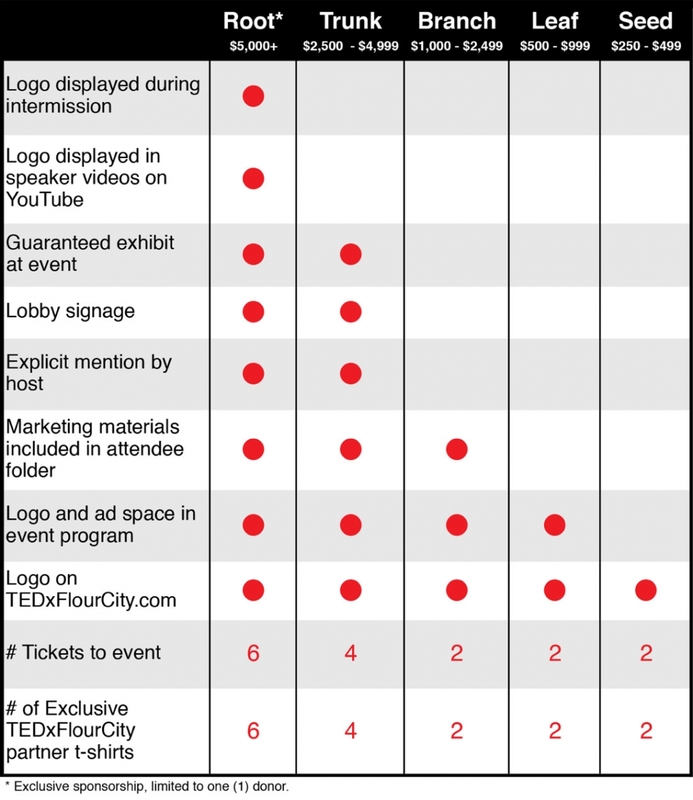 Below is a list of all the benefits you will get from a partnership with TEDxFlourCity. You can also donate to us at any time. We appreciate your contributions and thank you in advance!